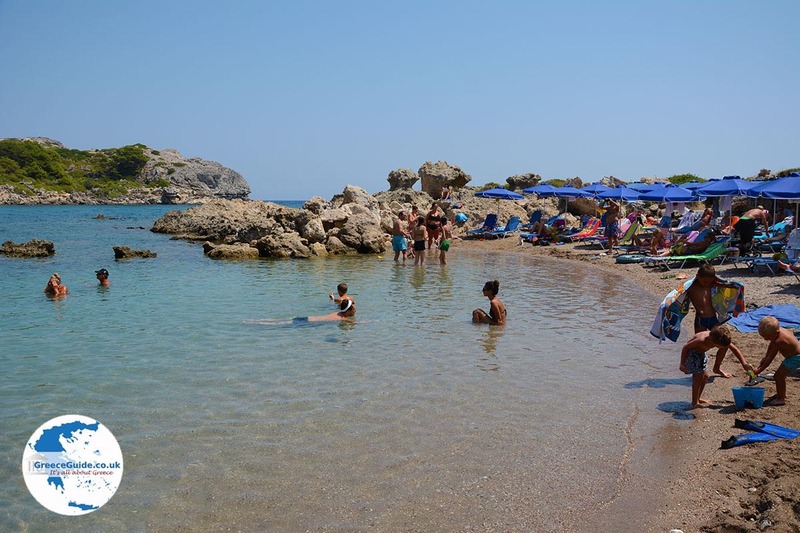 Anthony Quinn Beach Rhodes. 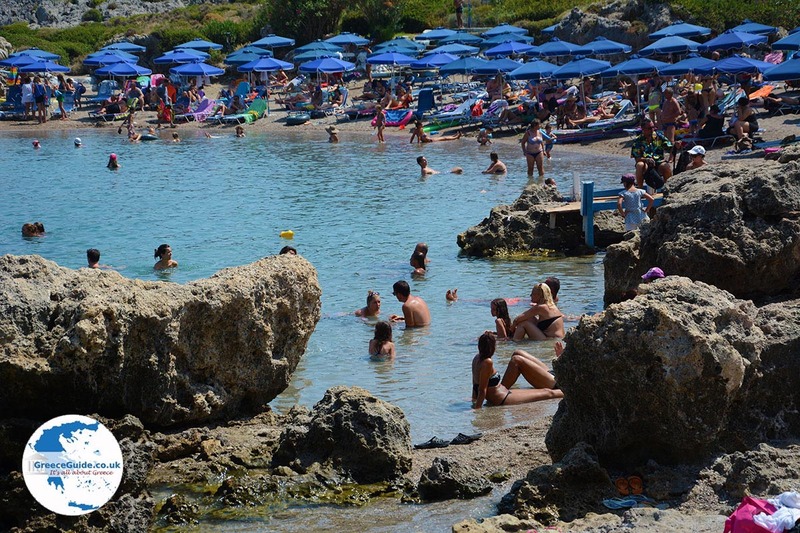 One of the most famous beaches of Rhodes is Anthony Quinn Beach. 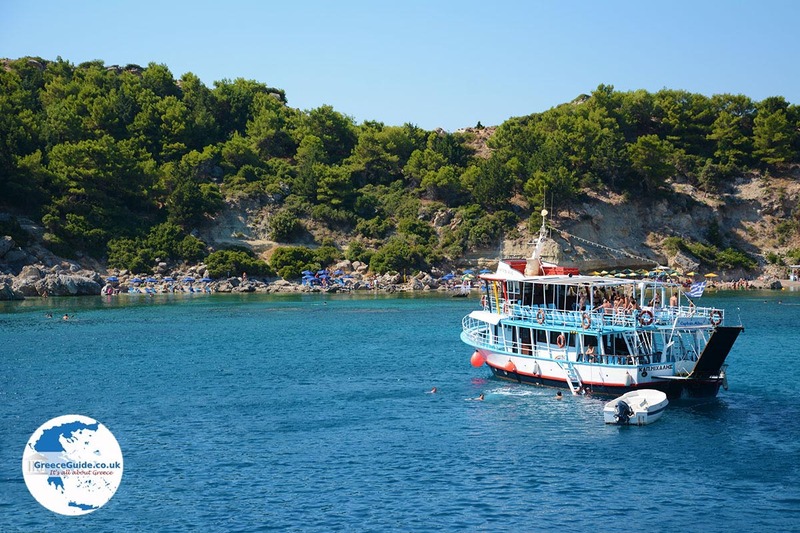 This beach is located a few kilometers south of Faliraki and is extremely popular among tourists during summer. 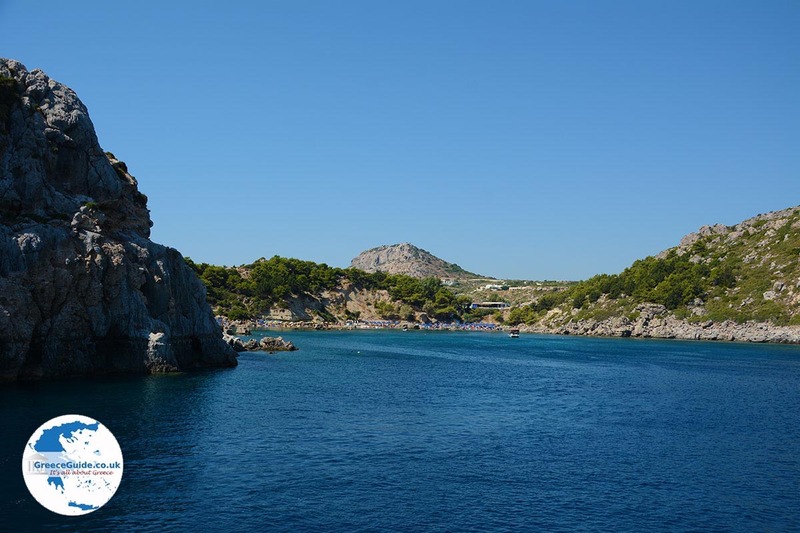 The beach was named after the famous actor, because scenes for the movie "The Guns of Navarone," in which Anthony Quinn played a leading role, were filmed here. 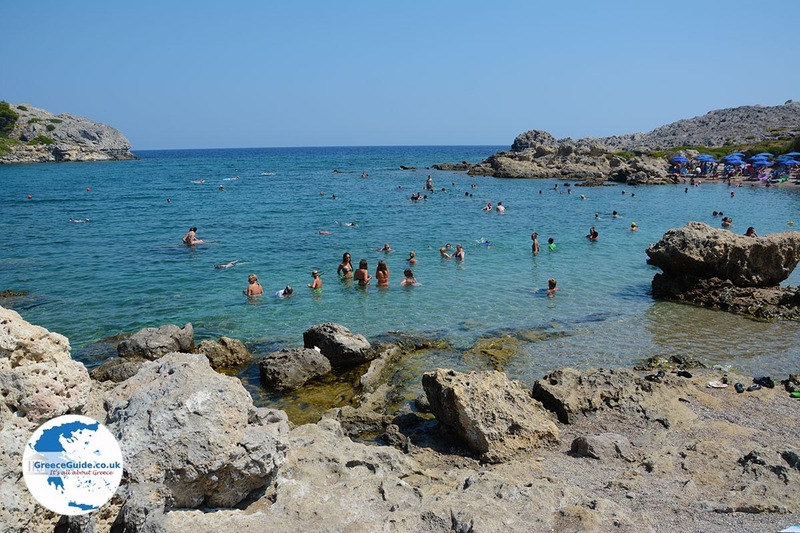 The beach is accessible by car through the beach of Ladiko, which is right next to it, hence the beaches of Ladiko and Anthony Quinn are often mentioned in the same breath. 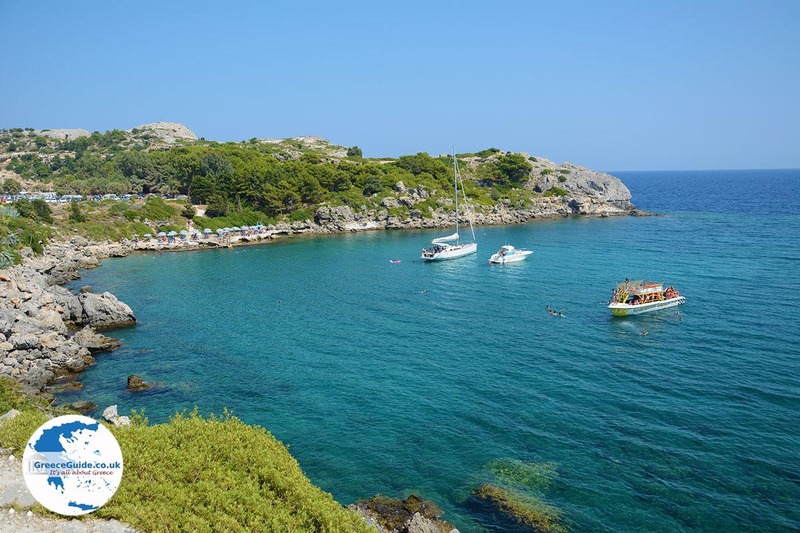 Both beaches are located in two idyllic, adjacent, closed bays. Both bays are surrounded by low hills, with many trees and green shrubs. 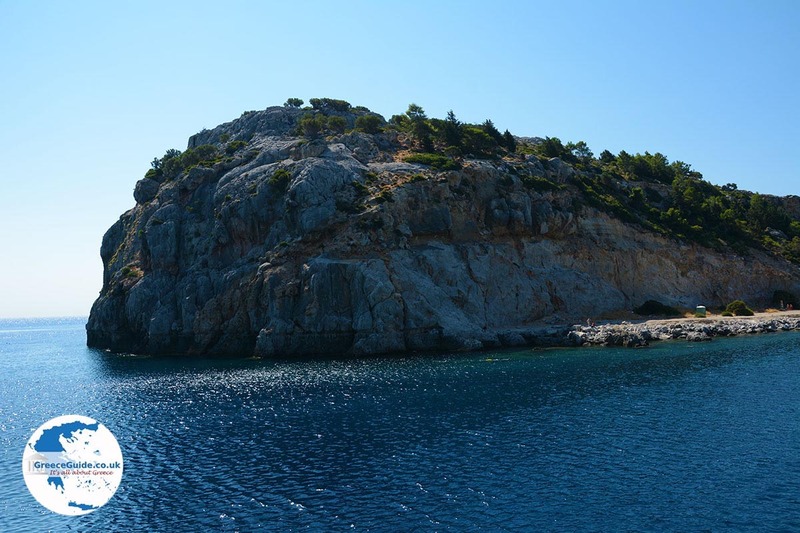 The color of the water is turquoise and crystal clear and there are beautiful rock formations. 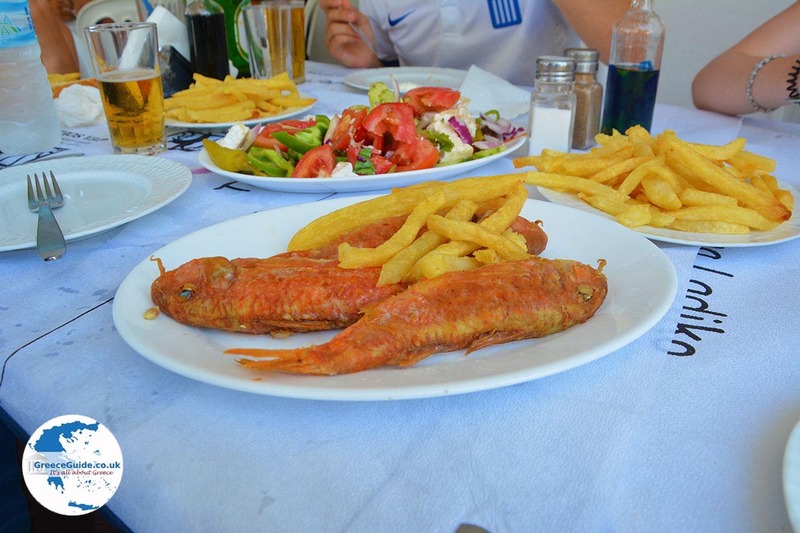 A nice tavern is located on the right side of the bay of Ladiko, about 200 meters (650 feet) from the beach of Anthony Quinn. 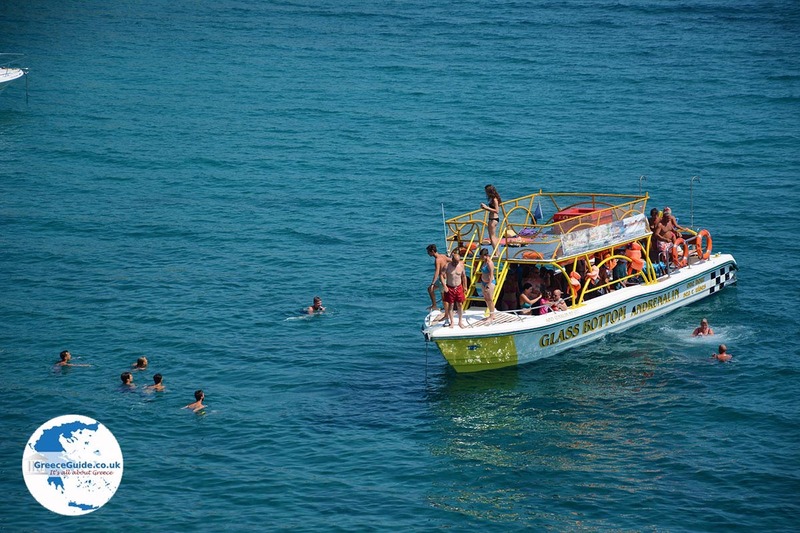 Both beaches are ideal for snorkeling and sunbeds can be rented. 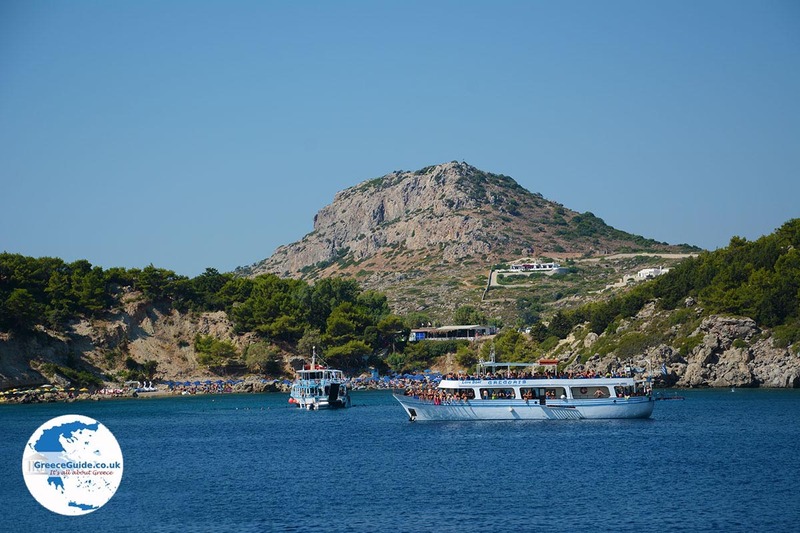 Several times a day buses drive to the beach and many tourists come by boat from Faliraki, Lindos and Rhodes town. 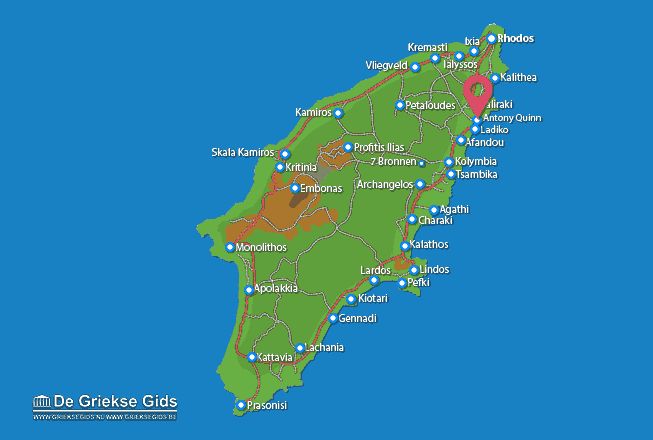 Rhodes: Where on the map is Anthony Quinn located?